This article first appeared in Engineering News on 23 August 2018. The new $100-million Metolong Dam in Lesotho has achieved a significant project success this year, with the dam spilling for the first time since its completion in 2016. Spilling occurs when the dam is at full capacity, and the dam’s spillway – meant to direct excess water downstream during flood periods – comes into operation. This was the first time the dam was subjected to the full range of stresses it was designed for. The dam passed this test with flying colours. 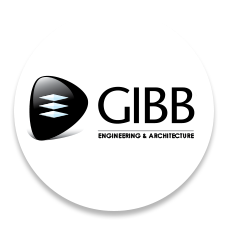 Metolong Dam Project Manager Beyers Havenga, a Technical Executive at GIBB, said that the spilling stage was the last test of the integrity of the dam following the construction phase of the project. 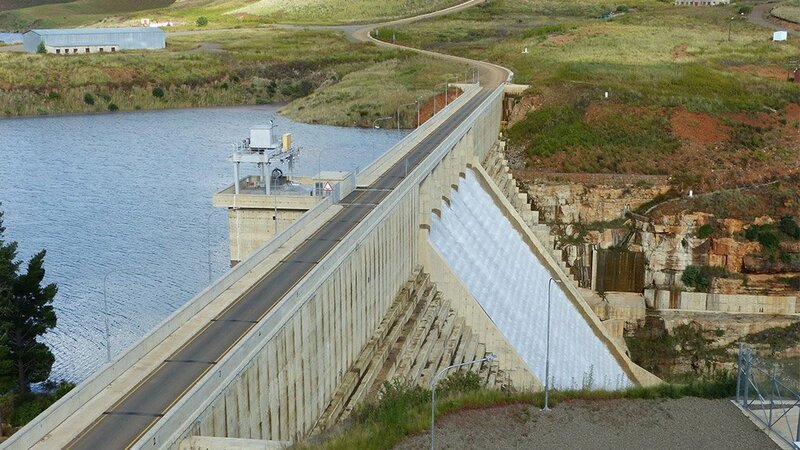 The 83m-high Metolong Dam is situated 30km east of Maseru. It features a 280m-long crest, with a 75m spillway just below it. It is a roller-compacted concrete (RCC) gravity dam, with a total concrete volume of 315 000m3. It is designed to hold a capacity of 63 million m3 of water. The project was built using an innovative new concrete blend of Ordinary Portland Cement (OPC) and Pulverised Fly Ash (PFA), which improves workability, and reduces the temperature of the mixture when setting and helps to prevent cracking. The Metolong Dam project also comprises an intake tower, outlet works and a raw-water pump station. The Metolong Dam Water Supply Programme forms part of the Lesotho Lowlands Water Project, aimed at improving water supply for domestic water consumption and for local industry, which was hampered by an acute water shortage in the mountain kingdom. According to the World Bank, the new dam supplies water to two-thirds of Lesotho’s two million population,and created employment for 3 000 Basotho during its construction phase. The broader project is also electrifying 75 villages and providing healthcare and HIV/AIDS community support programmes to 15 000 local residents. “Despite only achieving capacity now, the dam has been yielding water for several years,” said Havenga. “The dam now delivers water to the water treatment works, which supplies Maseru and neighbouring towns like Mazenod, Morija, Roma and Teyateyaneng. The Metolong Dam Water Supply Programme was worth $450 million and was financed by the World Bank and a consortium of funders from the Middle East, Europe and South Africa, with the government of Lesotho.